New Hampshire Wind Watch has signs sprinkled around the region. Opposing green “Yes” signs have been distributed by Iberdrola, and can be found in front of a few homes as well. It’s town meeting season. 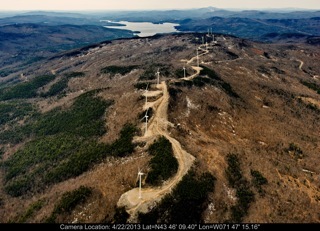 Around Newfound Lake Several towns are contemplating non-binding resolutions to take the pulse of voters on the question of wind-farms.